Our project is based on the Poor of Deal and the relief given by the Parish of St. Leonard’s. During the reign of Queen Elizabeth 1,various laws were introduced to try and alleviate the symptoms of poverty amongst citizens. At that time, the population was small enough that towns folk knew who the poor were and the reason why they were suffering hardship. As population grew and people traveled about to find work, it became harder to keep track on poverty and various laws came into being. 1723 - Workhouse Test Act passed to encourage the building of workhouses. 1782 - Relief of the Poor Act 1782 passed. 1815 - The French Wars come to an end. 1830 - The Swing Riots highlight the possibility of agricultural unrest. 1832 - The Royal Commission into the Operation of the Poor Laws begins its investigation into the Poor Law system. 1848 - The Huddersfield workhouse scandal occurs. 1905 - Royal Commission on the Poor Laws and Relief of Distress 1905-09 set up by the outgoing Conservative government. 1906 - The Liberal Government is elected and begins an ambitious programme of welfare reforms. 1929 - The workhouse system is abolished by the Local Government Act 1929. 1948 - The Poor Law system abolished by the National Assistance Act 1948. In the early days Parish Relief was given on a piecemeal basis. It was usual that the community would know the poor in their area and the reason of the poverty and therefore relief was given as opposed to requested. As the population grew and people traveled, it became difficult to work out who the poor were and the poor would request assistance from the Parish. A ‘poor rate’ was levied against those in society who could afford to pay it (house owners) and the amount payable depended on your own ‘habitat’. This was the parish 'cess'. Mr Matson with a house, Mill and garden paid 12s/8d. Total £21,177 or 17s 9d per head of population. 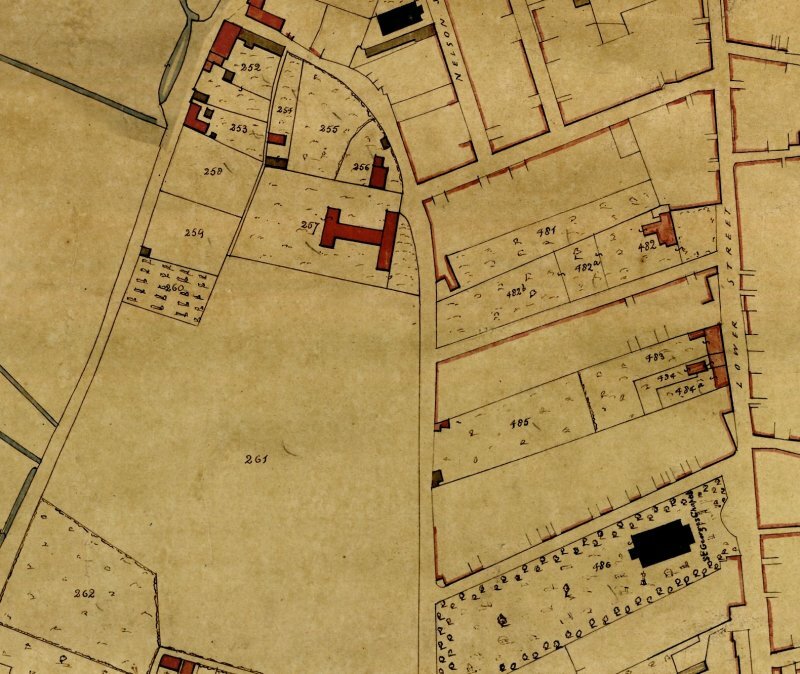 In 1710 it is recorded that Court House, Rectory Road, Deal was used as the local poor house. The Parish records hold quite a few archives showing receipts for items and things connected to the poor of Deal. Paid John Roberts 10 shillings and seven pence hapney for the beear for the poorhouse when they were sick and for John Bretts cow when he moved clay and made new gutters for the house. Received off William Pittock – two shillings for work done at the poor house. William Pittocks book of receipts held at Canterbury Cathedral Archives also holds some interesting facts. An account of those that are out of the poor house, that have money weekly. The widow Benet At Ramesgate 1 shilling a week. the poorhouse. The Deal workhouse was built in 1782. In 1785 the poor were ‘contracted out’ A Mister John Gauntley of Grantham agreed to take care of the poor of Deal. He agreed to take care of all the needs of any poor person, including providing shelter that was warm, food, decent clothing, medicines and care when they were sick and a burial if they died. This was to be done for 2s/5d per head per week. Mr Gauntley was allowed the labour of the poor and the clothes of those who died to re issue to others, as part of the agreement. St Andrews Church was built on the site in about 1850.
system of poor relief for the whole country. than the conditions of the poorest paid labourer. administer relief only to those entering the workhouse. Peter Higginbotham identified the areas. individual sizes from Betteshanger (20) to Deal 7,268. £21,177 or 17s 9d per head of population. The building of Eastry Union Workhouse commenced in 1835. The guardians were told at the outset to make it as unpleasant as possible to deter people from entering and seeking poor relief. without any hope of ever seeing them again’. people could walk the distance to visit. The Poor Laws allowed for terror and hardship to be part of daily workhouse life. It was thought that by making daily life repulsive it would deter people from seeking relief. At Eastry children as young as two years old were flogged until blood was drawn. On entering the Workhouse, you would be put into a category and segregated. 2. Able bodied men and youths above 13. 4. Aged or infirm women. 6. Girls above seven years old and under 16. 7. Children under 7 years of age. narrow and the matress was filled with straw. A cover filled with straw was used on top of them. Medical Care in the Workhouse. In 1897 a new Medical Officer was appointed at Eastry. Mr Mc Anally was appointed appointed Medical Officer for the Workhouse and Eastry District of the Eastry Union. Reported on January 2nd 1897 in The British Medical Journal. Typical Menu For Eastry Workhouse. Various Acts and what they meant. Allowed Parishes to return paupers to their home' parish after 40 days unless in receipt of a settlement certificate. refused if they would not enter. This Act was repealed in 1796. Infirm. The able bodied were required to work. level of the cost of bread.